In Summer 2017, Mark of SYCT in London, brought his young leaders to join us in Sri Lanka, and had a time they'll never forget. You can read also read a written review by Mark on our Volunteers' Reviews page, along with those of our volunteers. discounts for each person in a group of 2 or more. Each group member (2 or more) benefits from a discount, with a group of 8 having a reduction of 2.25%/£17 PP. your group may choose from a range of menu items before your arrival, based upon our Fig and Gecko volunteering menu (being written). We will also do our best to accommodate suggestions where possible / practicable. We cannot cater for people with allergies, nor can we guarantee that the food we serve, nor the products we buy to make that food, will be free of items people may or may not be allergic to. Listen to Stu's review (2nd from right), and that of his young leaders, which is on our Home page, below the banner photo. Jane and I are absolutely delighted to be having Travis joining us on the team here in Sri Lanka in January 2018. He'll be carrying out a number of roles through the year in support of the NGO, the volunteering as a Project Coordinator and Young leader support, as well as being involved with the very sociable Fig and Gecko Hostel. He'll be liaising with the schools, colleges, and orphanages, setting up the holiday clubs and ensuring most of all, that your experience as volunteers, and youth leaders goes as well as you hope, and more. Travis, form London, England, as a member of KYC, volunteered with us in 2016. He's just finished his degree at the Royal Agricultural College (which I'm hoping has rubbed off on him so that he'll enjoy helping us with our organic garden and tropical orchard, which is a haven for all sorts of creatures), and he has a Level 3 Youth Leader certificate. Welcome aboard Travis! 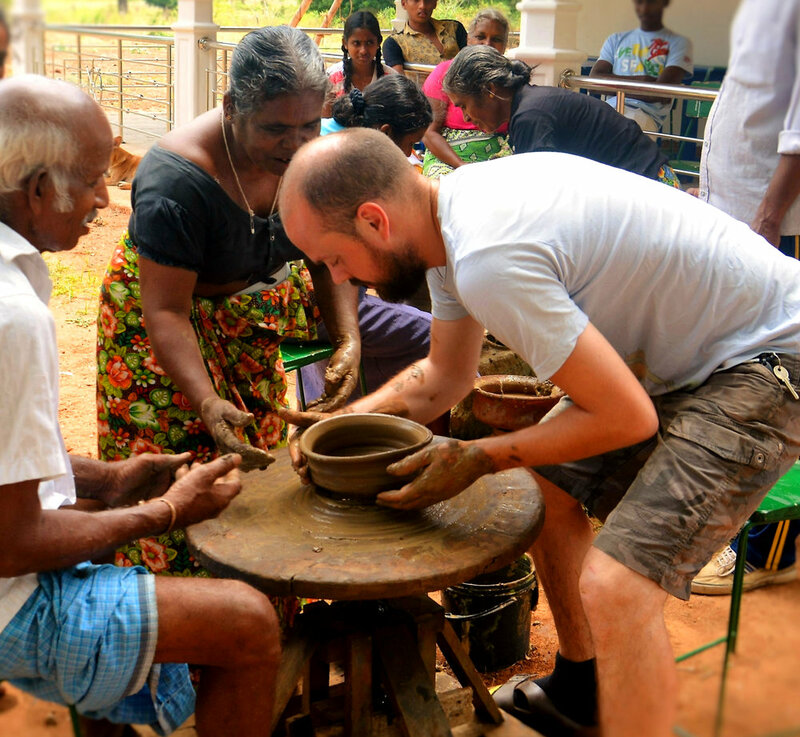 You will work with a variety of people in Sri Lanka as you carry out programmes you have selected, whether they be professionals, teachers, farmers, women, children, students, or activity leaders. The people you work with will be those you are supporting, those supporting you, people hoping to be supported, as well as people happy to spend time with English speakers in order to develop their language skills. The people will gladly involve you in their cultural activities, and you may well not realise it at times, but the culture of communication and meaning here in Asia, is different to that of the west. All a learning curve, that as a tourist you may never notice, but as a volunteer you may pick up on more readily. We'll explain to you about the culture and prepare you for most eventualities. Due to the variety of circumstances you will find yourself in you will use and build different skills, and discover abilities you may not have realised you had. You may go to a village to build a toilet, or to work in some houses, but you'll soon attract the village children and be playing games, and teaching English. In fact, you'll attract the adults too, and may end up cooking, for example. Or you may be going to teach English, and be asked to help with a village activity. The great thing about Sri Lanka is that risk taking here takes place in a culture that is polite, supportive, and friendly. The people are not materialistic in a western sense, and designer labels carry no meaning. There is literally no such thing as street cred, and if there is, you and I would not pick it up. You will be challenged. Even when something has been planned, and agreed, it may well not go as we thought it would, or there may be a lst minute change. Not something in the west we do very well, but in Sri Lanka changing something alst minute is quite the norm. You will learn to fit into the new circumstance, and of course, we will be on hand to ensure these e[pxected 'unexpected happensing help you to build your experience, not hinder it. An example might be going to teach a Year 7 class, and be dragged into a Yr 11 class to tecah English, or to meet the pupils for a Q&A. Sri Lanka is an unusual, and beautiful country. It boasts wildlife on almost every corner, and its culture is everywhere and vibrant. There are festivals throughout the year, and a wide variety of landscapes and possible experiences. You will be amazed not just how much is packed into an island, but also at how much you will pack in, and unpack too. Build skills, discover skills, qualities, and abilities. 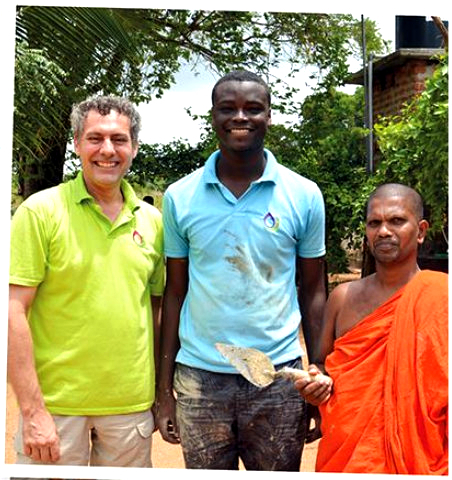 Work with others - your team mates, Sri Lankan staff on the placements, villagers, and children. Be challenged - and adapt to very different circumstances, with different expectations, and values. Be challenged - by new circumstances, and through carrying out roles you'd possibly never imagined. And Most of All - Make a Difference - in Your Life and Theirs! Teach in schools, pre-schools, and teach monks in villages. Volunteer with turtles - looking after them, and building infrastructure. Build village infrastructure, such as toilets. See elephants and other creatures in their natural environment. Be a part of a university project studying elephants or monkeys.